Born in Hartford, CT and attended Phillips Academy, Theodore Weld is considered one of the most significant abolitionist leaders in the country’s history and might also be known as the husband of abolitionist and feminist Angelina Grimke. After leaving Phillips Academy due to poor health, Weld enrolled as a student at Lane Theological Seminary in Cincinnati, Ohio where he led an anti-slavery group which voted to actively support abolitionism. In response, the school’s Board of Directors, led by Lyman Beecher (father of Harriet Beecher Stowe), voted to prohibit any further discussion of slavery. This led to Weld’s dismissal from the Lane Seminary in 1834 and, thereafter, he became one of the leaders of the abolitionist movement working with Arthur and Lewis Tappan (financial supporters of abolitionism); James G. Birney (1844 Liberty Party Presidential Candidate and father of Phillips Academy alumnus and Civil War General David Birney); and Gamaliel Bailey (an abolitionist publisher who withstood repeated mob attacks for his anti-slavery stances). 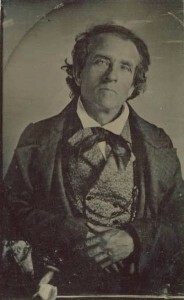 Weld is best known for his co-authorship of the authoritative compendium, “American Slavery As It Is: Testimony of a Thousand Witnesses,” published in 1839. Harriet Beecher Stowe based her novel “Uncle Tom’s Cabin” in large part upon Weld’s work. Weld’s influence upon two of the country’s greatest anti-slavery works have caused many historians to identify him as one of the nation’s most influential abolitionist leaders.